Technology is changing the way that we drive. We’ve come very far from the days of needing to plan your route out on a paper map and have even advanced well past needing to print your directions from your computer before you go. Today, planning for your drive means keying your destination into an app and allowing GPS technology to find the best way to get you there. But with the number of apps and websites dedicated to making our driving routes a little easier, some work better than others. They each have unique features and different options that distinguish them from one another. MapQuest was the leader in printable driving directions just a few years ago. 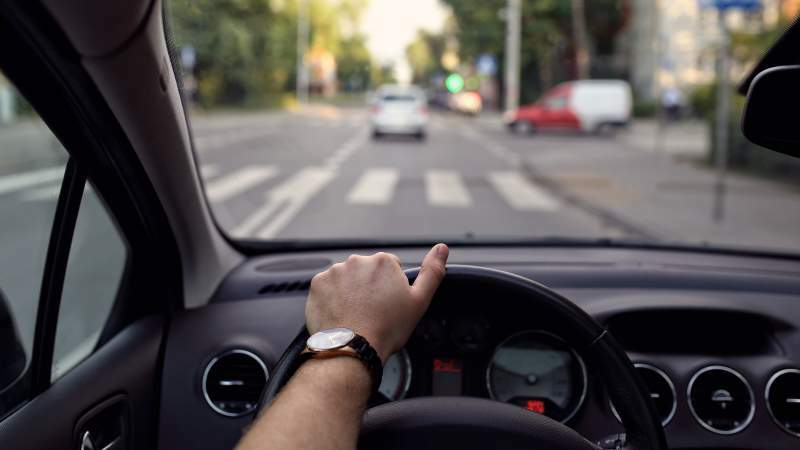 As the go-to source for getting directions was quickly replaced with apps, MapQuest saw that they should revolutionize their strategy and become just as easy to use. Today, both the MapQuest website and the MapQuest app allow you to easily find a location and get the directions that will take you there. But in addition to just directions, MapQuest can also help you find parking, bars, hotels, gas, and food along your drive. This is great for quick stops or detours because the app does not make you cancel your trip to find a place to pull over for a quick bite or a rest. On the surface, Waze is just another navigation app. Within the app, you can find your quickest direction options and see how much traffic is on your path. But where Waze really differs from the other traffic and driving apps is that it allows you to connect with other drivers also on the road. Waze calls itself a “community-based traffic and navigation app,” that was designed to “outsmart traffic, together.” With the various features in Waze, you can alert other drivers if a cop is ahead, if there is particularly heavy traffic, or even if an accident has occurred. When you have a better understanding of the traffic you’re in, you can find an alternative route or drive more carefully if it is necessary. There are few things worse than filling up your tank only to drive by another gas station with cheaper prices a few miles down the road. But when you’re in a new area, you can’t possibly know where all the best gas deals are. That is where the Gas Buddy app can help. Gas Buddy is an app just for gas prices. By using your GPS location, the app will pull all the gas stations around you and display their average price per gallon. If you’re traveling long distances or you travel frequently, you know how the price of gas can quickly add up. With Gas Buddy, you’ll know you’re getting the best deal so you can spend that money on other trips and travels. The Roadtrippers app is designed just for – you guessed it – road trippers. If you’re planning a long drive where you’ll want to take frequent breaks, the Roadtrippers app can show you different areas that are worth checking out along your route. It will also allow you to read views, look at pictures, and will give you directions to the locations that you choose. While Roadtrippers is designed to help drivers break up long drives and experience all they can on their journey, it can also be used for short trips. If you’re looking for somewhere to stop and eat, stretch your legs, or just something to do in a cool town you’re passing through, Roadtrippers can give you more than a few options to consider. Unfortunately, things can happen when you’re out on the road. When you’re far from home and you need to make a car repair, you don’t have the option of going to your trusted mechanics or service stations. Instead, you’ll need to find a location around you that can get you back on your way. RepairPal helps you get your car fixed and avoid overpaying. If you don’t know the mechanics making the repair, you can worry that they’re charging too much for the service. While you may not get the same discount as you would back home, RepairPal helps you make smarter decisions when getting home isn’t an option. One of the biggest problems with traffic apps is that they never tell us about traffic until we’re stuck in it. At that point, other exits have already been passed and we can’t do much to get on an alternate route. All we can do is sit and wait. But with INRIX Traffic, a GPS app, you’ll know of travel conditions before you get there. INRIX Traffic allows you to see travel conditions along your entire route. If you notice that you’re coming upon a line of red, non-moving traffic, you have time to make the necessary changes to get on another path. However, because you can see so far in advance, you will need to check frequently as conditions can change throughout the day. Long drives can be stressful and without the proper planning, they can go horribly wrong. But with the use of apps like these, you don’t need to worry about overpaying for gas, getting stuck in traffic, or finding that you’ve lost your way. Because each of these apps can be used right from your mobile phone, you will have all of their features and benefits with you as you’re driving to your end destination. As technology continues to improve, our drives are becoming easier and easier. With so many apps and websites out there, give a few of these a shot and see which work best for you.